This article is about the private institution in Colorado Springs, Colorado. For the public university, see University of Colorado System. Private universities are typically not operated by governments, although many receive tax breaks, public student loans, and grants. Depending on their location, private universities may be subject to government regulation. This is in contrast to public universities and national universities. Most private universities are non-profit organizations. Liberal arts colleges in the United States are certain undergraduate institutions of higher education in the United States. The Encyclopædia Britannica Concise offers a definition of the liberal arts as a "college or university curriculum aimed at imparting general knowledge and developing general intellectual capacities, in contrast to a professional, vocational, or technical curriculum." Generally, a full-time, four-year course of study at a liberal arts college leads students to earning Bachelor of Arts (B.A. ), Bachelor of Science (B.S.) and on rare occasion Bachelor of Science in Engineering (B.S.E.) degrees. Colorado College is affiliated with the Associated Colleges of the Midwest. Most sports teams are in the NCAA Division III, with the exception of Division I teams in men's hockey and women's soccer. Associated Colleges of the Midwest (ACM) is a consortium of 14 private liberal arts colleges, primarily in the Midwestern United States. The 14 colleges are located in five states. The ACM was established in 1958 and is headquartered in Chicago. The consortium's current president is Chris Welna. The Colorado College Tigers men's ice hockey team is a National Collegiate Athletic Association (NCAA) Division I college ice hockey program that represents Colorado College. The Tigers are a member of National Collegiate Hockey Conference. 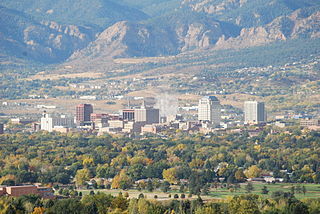 They play at the World Arena in Colorado Springs, Colorado. Colorado College was founded in 1874 on land designated by U.S. Civil War veteran General William Jackson Palmer, the founder of the Denver and Rio Grande Railroad and of Colorado Springs. Founder Thomas Nelson Haskell described it as a coeducational liberal arts college in the tradition of Oberlin College. Like many U.S. colleges and universities that have endured from the 19th century, it now is secular in outlook, and it retains its liberal arts focus. Oberlin College is a private liberal arts college in Oberlin, Ohio. Founded as the Oberlin Collegiate Institute in 1833 by John Jay Shipherd and Philo Stewart, it is the oldest coeducational liberal arts college in the United States and the second oldest continuously operating coeducational institute of higher learning in the world. The Oberlin Conservatory of Music is the oldest continuously operating conservatory in the United States. In 1835 Oberlin became one of the first colleges in the United States to admit African Americans, and in 1837 the first to admit women. Cutler Hall, the college's first building, was completed in 1880 and the first degrees were conferred in 1882. The Cutler Hall is a Gothic library building on the Colorado College campus in Colorado Springs, Colorado. The building is on the National Register of Historic Places. William F. Slocum, president from 1888 to 1917, oversaw the initial building of the campus, expanded the library and recruited top scholars in a number of fields. In 1930, Shove Chapel was erected by Mr. John Gray, to meet the religious needs of the students (though Colorado College is not religiously affiliated). William Frederick Slocum, Jr. was a United States educator. In 1917 he was forced to retire as President of Colorado College after an investigation confirmed the accusations of multiple women that he had sexually harassed and sexually assaulted them. 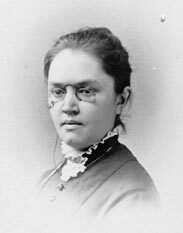 Katharine Lee Bates wrote "America the Beautiful" during her summer teaching position at Colorado College in 1893. Katharine Lee Bates was a prolific American writer, college professor, scholar, and social activist. Although she published volumes of poetry, travel books, essays, children's books, books for young adults, and editions of many earlier writers' works, today Bates is primarily remembered as the author of "America the Beautiful". While on the Wellesley College faculty, Bates mentored many young poets and helped establish American literature as a field for college study by creating a new college course on the genre and writing one of the field's first textbooks. She was the first woman to write such a book. Some late 20th-century scholars have asserted that Bates was a lesbian who live for 25 years with long-time friend and companion Katharine Coman; but Dr. Melinda M. Ponder, author of the definitive full-length biography, has presented conflicting evidence and reached a more nuanced conclusion. Colorado College follows a unique schedule known as the "block plan" in which students study one subject intensively for three-and-a-half-week "blocks", followed by a 4.5 day break. The intensity stems from the time commitment (classes meet for a minimum of three hours Monday through Friday) as well as the demand for engaging rapidly with complex content. Advocates say this allows for more lab time, field research, and an intensive hands-on learning experience with fewer distractions. Critics say that this approach to learning does not allow adequate time for students to digest complex topics. The block plan epitomizes experiential learning. It is common for classes to take short or extended trips to apply classroom concepts in the real world. Because students only take one course for the duration of the block, professors have the flexibility to develop these types of excursions. For example, a renewable energy course might travel to a local wind farm or a geology class may take a week in Moab, Utah to study geological patterns in the region. A satellite campus in Crestone, Colorado at the base of the Sangre de Cristo Mountains known as "Baca Campus" offers a retreat destination often utilized by language, philosophy, writing, and religion courses. Baca Campus boasts a lodge, conference center, classroom, restaurant, and student townhouse facilities. Some courses will even spend an entire block immersed in an area of interest. These occur both domestically and internationally. After each block, students are rewarded with 4.5 days off. Most students head off campus, often involving some type of outdoor exploration. Every student begins the Colorado College journey with a "First Year Experience" course, or FYE. This is a back-to-back block spanning 8 weeks and functions as a freshmen seminar course. Students can also take blocks during winter and summer breaks. In January, the college offers "half blocks," an intensive 10-day course fulfilling a half credit. Meanwhile, summer blocks are three weeks long, and there are also graduate blocks of differing lengths. In parallel with the students, professors teach only one block at a time. Classes are generally capped at 25 students to encourage a more personalized academic experience. In 2016, Forbes rated it 57th overall in "America's Top Colleges," which ranked 660 national universities and liberal arts colleges. CC is considered a "Hidden Ivy." Both inside and outside of the classroom, students at Colorado College have a reputation for being collaborative, intellectual, and adventurous. A 'work hard, play hard' motto is commonly referenced on campus. However, 'play' for Colorado College students is distinctive. Many students share a thirst for outdoor exploration, and can be found hiking, biking, climbing, and skiing, among other things. Colorado College's proximity to the Rocky Mountains and several mountain resort communities create an ideal environment for these types of activities. Students are also active in community engagement activities to advance social justice and sustainability. Cutler Hall, located at 912 North Cascade Avenue, on the Colorado College campus, in Colorado Springs, Colorado. The property is listed on the National Register of Historic Places. Since the mid-1950s, newer facilities include three large residence halls, Worner Campus Center, Olin Hall of Science and the Barnes Science Center, Honnen Ice Rink, Boettcher Health Center, Schlessman Pool, Armstrong Hall of Humanities, and the El Pomar Sports Center. The face of campus changed again at the beginning of the 21st century with construction of the Western Ridge Housing Complex, which offers apartment-style living for upper-division students and completion of the Russell T. Tutt Science Center. The east campus has been expanded, and is now home to the Greek Quad and several small residence halls known as "theme houses." Some of the more recent notable buildings include Tutt Library, designed by Skidmore, Owings & Merrill and later expanded and renovated to be the largest carbon-neutral academic library in the United States, Packard Hall of Music and Art, designed by Edward Larrabee Barnes, and the Edith Kinney Gaylord Cornerstone Arts Center, which was designed by Antoine Predock with input from faculty and students. Colorado College's Edith Kinney Gaylord Cornerstone Arts Center, completed in 2008 and located at the intersection of a performing arts corridor in Colorado Springs, was designed to foster creativity and interdisciplinary collaboration. It is home to the college's film, drama and dance departments and contains a large theater, several smaller performance spaces, a screening room, the I.D.E.A. Space gallery, and classrooms, among other rooms. The building is also LEED certified. The current hockey coach is Mike Haviland, who had been head coach of the Hershey Bears of the American Hockey League and was an assistant coach for the Chicago Blackhawks of the National Hockey League. Colorado College operates National Public Radio Member Station KRCC-FM. In 1944, KRCC began as a two-room public address system in the basement of Bemis Hall. Professor Woodson "Chief" Tyree, Director of Radio and Drama Department at Colorado College was the founder and inspirational force in the program that one day became KRCC-FM. In 1946, KRCC moved to South Hall (where Packard Hall now stands) on campus where two students, Charles "Bud" Edmonds '51, and Margaret Merle-Smith '51, were instrumental in securing a war surplus FM transmitter. KRCC began over the air broadcasting in April 1951 as the first non-commercial educational FM radio station in the state of Colorado. KRCC broadcasts through a series of eleven transmitters and translators throughout southern Colorado and a portion of northern New Mexico. KRCC's main transmitter, atop Cheyenne Mountain, broadcasts three separate HD multi-cast channels, including a channel run completely by Colorado College students called the SOCC (Sounds of Colorado College). James D. Hamilton, econometrician and author of "Time Series Analysis"
Reginald McKnight, author, recipient of the Drue Heinz Literature Prize, the Whiting Award, and the O. Henry Award. Inaugural Hamilton Holmes Professor of English at the University of Georgia. Lehigh University is a private research university in Bethlehem, Pennsylvania. It was established in 1865 by businessman Asa Packer. Its undergraduate programs have been coeducational since the 1971–72 academic year. As of 2019, the university had 5,047 undergraduate students and 1,942 graduate students. Bucknell University is a private liberal arts college in Lewisburg, Pennsylvania. The university consists of the College of Arts and Sciences, Freeman College of Management, and the College of Engineering. Bucknell was founded in 1846, and features programs in the arts, humanities, sciences, social sciences, engineering, management, education, and music, as well as programs and pre-professional advising that prepare students for study in law and medicine. It offers nearly 50 majors and over 60 minors. South of central Lewisburg, the 445-acre (1.80 km2) campus is along the west bank of the West Branch of the Susquehanna River, at an elevation of 530 feet (160 m) above sea level. Haverford College is a private liberal arts college in Haverford, Pennsylvania. All students of the college are undergraduates and nearly all reside on campus. Wellesley College is a private women's liberal arts college in Wellesley, Massachusetts. Founded in 1870 by Henry and Pauline Durant, it is a member of the original Seven Sisters Colleges. Wellesley is home to 56 departmental and interdepartmental majors spanning the liberal arts, as well as over 150 student clubs and organizations. The college also allows its students to cross-register at Massachusetts Institute of Technology, Brandeis University, Babson College and Franklin W. Olin College of Engineering. Wellesley athletes compete in the NCAA Division III New England Women's and Men's Athletic Conference. Bowdoin College is a private liberal arts college in Brunswick, Maine. At the time Bowdoin was chartered, in 1794, Maine was still a part of the Commonwealth of Massachusetts. The college offers 34 majors and 36 minors, as well as several joint engineering programs with Columbia, Caltech, Dartmouth College, and The University of Maine. 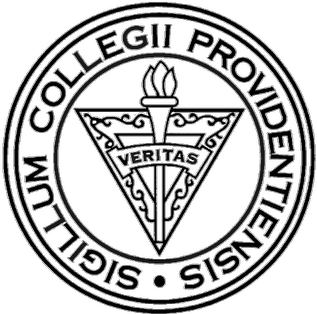 Providence College is a private, coeducational, Roman Catholic university located about two miles west of downtown Providence, Rhode Island, United States, the state's capital city. With a 2012–2013 enrollment of 3,852 undergraduate students and 735 graduate students, the college specializes in academic programs in the liberal arts. It is the only college or university in North America administered by the Dominican Friars. Smith College is a private, independent women's liberal arts college with coed graduate and certificate programs in Northampton, Massachusetts. It is the largest member of the Seven Sisters. In its 2018 edition, U.S. News & World Report ranked it tied for 11th among the best National Liberal Arts Colleges. Smith is also a member of the Five Colleges Consortium, which allows its students to attend classes at four other Pioneer Valley institutions: Mount Holyoke College, Amherst College, Hampshire College, and the University of Massachusetts Amherst. Brooklyn College is a college of the City University of New York, located in the Flatbush neighborhood of Brooklyn, New York City. Hope College is a private, Christian liberal arts college in Holland, Michigan. It opened in 1851 as the Pioneer School by Dutch immigrants four years after the community was first settled. The first freshman college class matriculated in 1862 and Hope received its state charter in 1866. Hope College is affiliated with the Reformed Church in America and it retains a Christian atmosphere. The school's 125 acres (0.195 sq mi) campus is adjacent to the downtown commercial district and has been shared with Western Theological Seminary since 1884. Pitzer College is a private residential liberal arts college in Claremont, California. One of the Claremont Colleges, the college has a curricular emphasis on the social sciences, behavioral sciences, international programs, and media studies. Niagara University is a private Catholic university in the Vincentian tradition in Lewiston in Niagara County, New York. It is run by the Congregation of the Mission. Niagara has 3,300 undergraduate students in 50 academic programs. Approximately half of the students are residents while the other half commute from the surrounding area. The college is known as a liberal arts school but offers programs in technical and pre-professional disciplines as well. Hamilton College is a private, nonsectarian liberal arts college in Clinton, New York. It was founded as Hamilton-Oneida Academy in 1793, and was chartered as Hamilton College in 1812 in honor of inaugural trustee Alexander Hamilton. Hamilton has been coeducational since 1978, when it merged with its coordinate sister school Kirkland College. St. Lawrence University is a private, four-year liberal arts college in the village of Canton in St. Lawrence County, New York, United States. It has roughly 2400 undergraduate and 100 graduate students, about equally split between male and female. St. Norbert College (SNC) is a private Catholic liberal arts college in De Pere, Wisconsin. Founded in October 1898 by Abbot Bernard Pennings, a Norbertine priest and educator, the school was named after Saint Norbert of Xanten. In 1952, the college became coeducational. As of March 2018, the school's enrollment is 2,165 students. Denison University is a private, coeducational, and residential four-year liberal arts college in Granville, Ohio, about 30 mi (48 km) east of Columbus. Founded in 1831, it is Ohio's second-oldest liberal arts college. Denison is a member of the Five Colleges of Ohio and the Great Lakes Colleges Association, and competes in the North Coast Athletic Conference. The acceptance rate for the class of 2022 was 34 percent. Gustavus Adolphus College is a private, coeducational liberal arts college in St. Peter, Minnesota. A four-year, residential institution, Gustavus Adolphus College was founded in 1862 by Swedish Americans and is affiliated with the Evangelical Lutheran Church in America. The college retains its Swedish and Lutheran heritage. The premier event on campus is the annual Nobel Conference, which features Nobel Laureates and other scholars explaining their expertise to a general audience. In 2015, Gustavus Adolphus College ranked as the 64th best liberal arts college in the United States. Randolph–Macon College is a private, co-educational liberal arts college located in Ashland, Virginia, United States, near the capital city of Richmond. Founded in 1830, the school has an enrollment of more than 1,400 students. The college offers bachelor's degrees in 38 major disciplines in the liberal arts, including political science, business, psychology, biology, international studies, and computer science, as well as 34 minors, including education. Randolph–Macon College is a member of the Annapolis Group of colleges in the United States, as well as the Virginia Foundation for Independent Colleges. Whitworth University is a private Christian liberal arts college affiliated with the Presbyterian Church (USA) in the northwest United States, located in Spokane, Washington. Founded in 1890, the Christian university enrolls more than three thousand students and offers over one hundred graduate and undergraduate programs in a variety of academic disciplines. 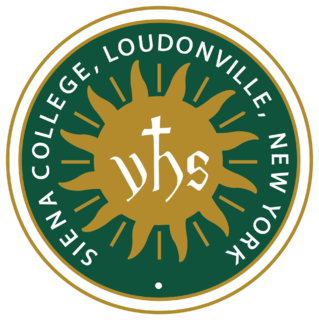 Siena College is an independent Roman Catholic liberal arts college in Loudonville, Albany County, New York, United States. Siena is a four-year, coeducational, independent college in the Franciscan tradition, founded by the Order of Friars Minor, in 1937. It has 3,000 full-time students and offers undergraduate degrees in business, liberal arts, and sciences. ↑ As of June 30, 2018. "Market Value & Asset Allocation". ↑ "Visual Identity Resources". coloradocollege.edu. ↑ "Departments and Program". Colorado College. ↑ "Welcome, Class of 2022". ↑ "America's Top Colleges: Colorado". Forbes. 1 2 "Colorado College". U.S. News & World Report. 1 2 "Kiplinger's Best College Values: College Rankings, 2017". Kiplinger's Personal Finance. December 2017. 1 2 Colorado College. History of Colorado College Archived May 27, 2010, at the Wayback Machine . Retrieved on: 2010-05-19. ↑ "Colorado College". U.S. News & World Report. 2016. ↑ "National Liberal Arts Colleges". U.S. News & World Report. Retrieved September 29, 2017. 1 2 3 "Class of 2022". ↑ "America's Top Colleges 2018". Forbes. Retrieved November 19, 2018. ↑ "Best Colleges 2019: National Liberal Arts Colleges Rankings". U.S. News & World Report. November 19, 2018. ↑ "2018 Rankings - National Universities - Liberal Arts". Washington Monthly. Retrieved November 19, 2018. ↑ "Most Innovative Schools – National Liberal Arts Colleges". U.S. News & World Report. 2016. ↑ "25 Most Desirable Small Schools". ↑ "Most Desirable Urban Schools". ↑ "Colleges with the Happiest Students". ↑ El Paso County – Colorado State Register of Historic Properties Archived December 24, 2013, at the Wayback Machine . History Colorado. June 8, 2013. 1 2 "After CC". Colorado College. ↑ "Alumni Report". Internet Hockey Database. 2011. Retrieved May 11, 2011. ↑ "Tiger Hockey Media Guide 2013–2014" (PDF). Retrieved November 30, 2013. ↑ "Marcia McNutt Elected 22nd NAS President; New Treasurer, Council Members Chosen" (Press release). National Academy of Sciences. February 16, 2016. Archived from the original on February 21, 2016. Retrieved February 23, 2016. ↑ "After CC • Colorado College". Colorado College. Retrieved 2012-02-29. ↑ "Profile • History • Colorado College". Colorado College. Retrieved 2012-02-29. ↑ "Peter Blasenheim". Colorado College. Archived from the original on May 27, 2011. Retrieved February 29, 2012. ↑ Hayward, Steven (2011). Don't Be Afraid. Knopf Canada. p. 313. ISBN 0676977367. ↑ "Winners of the 2012 Bancroft Prize Announced" . Retrieved 2012-12-10. ↑ "2012 Finalists" . Retrieved 2012-12-10. ↑ William Heuslein (January 19, 2010). "The Man Who Predicts The Medals". Forbes. Dunn, Joe P., "A Mission on the Frontier: Edward P. Tenney, Colorado College, the New West Education Commission, and the School Movement for Mormons and ‘Mexicans,’" History of Education Quarterly, 52 (Nov. 2012), 535–58. Loevy, Robert D. Colorado College: A Place of Learning, 1874–1999. Colorado Springs: Colorado College, 1999. Reid, J. Juan. Colorado College: The First Century, 1874–1974. Colorado Springs: Colorado College, 1979. Wikimedia Commons has media related to Colorado College . Wikisource has the text of the 1905 New International Encyclopedia article Colorado College . "Colorado College" . Collier's New Encyclopedia . 1921.